I’m absolutely hooked on Neom Organics’ products, and you may well have seen my reviews and giveaways in the past. I love the fresh, natural feel to the candles, and their top quality look too. 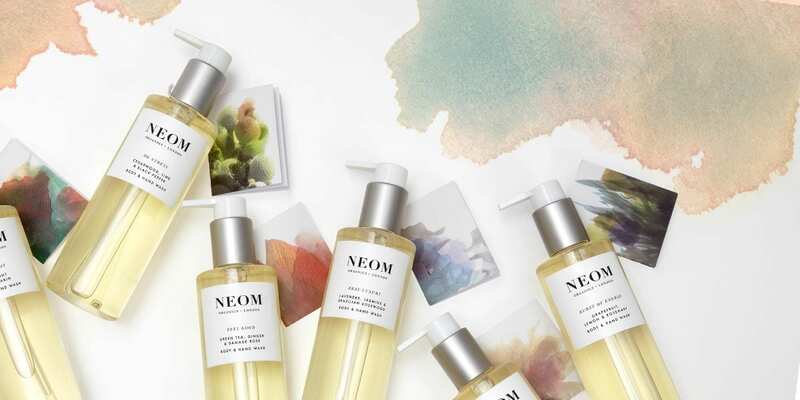 The articles and competitions have been quite popular, so I thought you’d like to take a look at the brand new look Neom Organics have given to their products. One of the main thing that I love about Neom, apart from the sweet smelling scents, and aromatherapy benefits, is the contemporary styling of the products. 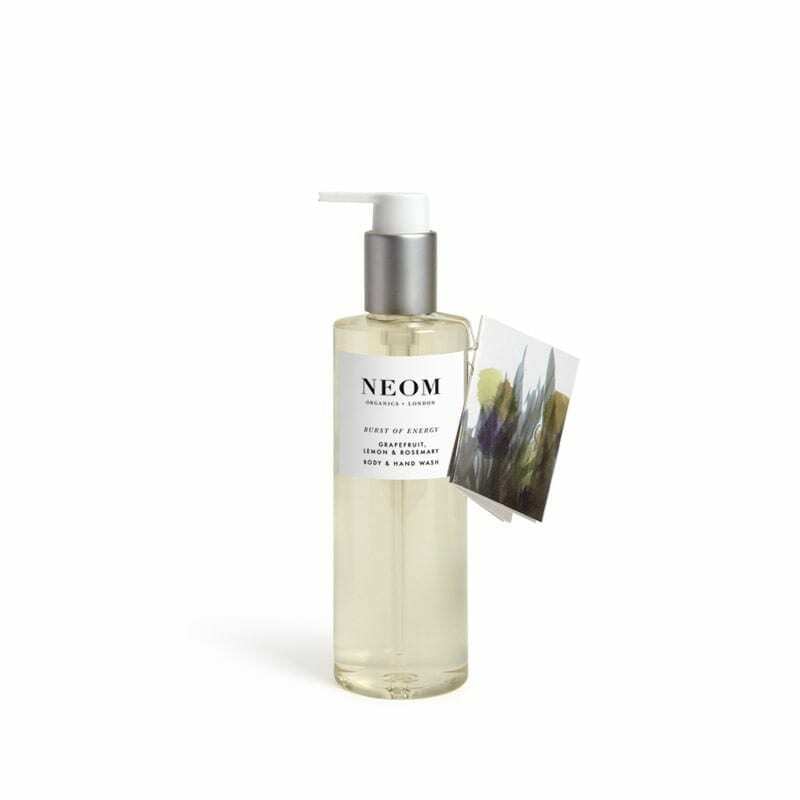 It was pretty good before, but Neom have now taken it to a whole new level. As you can see the packaging is extremely simple and sophisticated, and would look stunning in any style of home. That’s the beauty of this look; it’s simplicity suits all kinds of decor, from minimal through to more traditional. Neom have also renamed some of their popular scents to make them more easily understood, and they’ve added some new ranges too. The four new treatment remedies are ENERGISE, RELAX, DE-STRESS & HAPPINESS – making it easy to shop for the correct product. There’s also a brand new candle size too, retailing at £30 – a great idea! I’ve been trying out the brand new Grapefruit, Rosemary and Lemon, Burst of Energy Hand and Body Wash.
Sun dappled grapefruit and lemon groves. A scent that evokes carefree days in the fresh open air and positive thoughts. A blend of bright, clean notes that is light enough to use every day. I have a few Neom products in the Love Chic Living shop, with more to come soon I hope, but do check out the full Neom range over on the Neom Organics website, and why not treat someone you love, or yourself. The packaging alone looks appealing since I love simple, clean lines and lately we’ve been all about organic candles. I wonder how strong the fragrances are since we’re both prone to headaches and strong scents seem to trigger mine. I’ll have to keep this brand in mind the next time I go home decor shopping (which won’t be too far away).